Albis Pass is a mountain pass in the Albis range in the canton of Zurich in Switzerland. It connects Langnau am Albis with the small village of Türlen on the Türlersee and, further on, Aeugst, Hausen, Mettmenstetten and Rifferswil. The road over the Albis pass is served hourly during daylight hours by a bus connecting Hausen am Albis to the train station in Thalwil. Other passes in the same chain include Buechenegg, also with a small village at the top, and Schnabellücken, which is undeveloped except for a hiking trail. 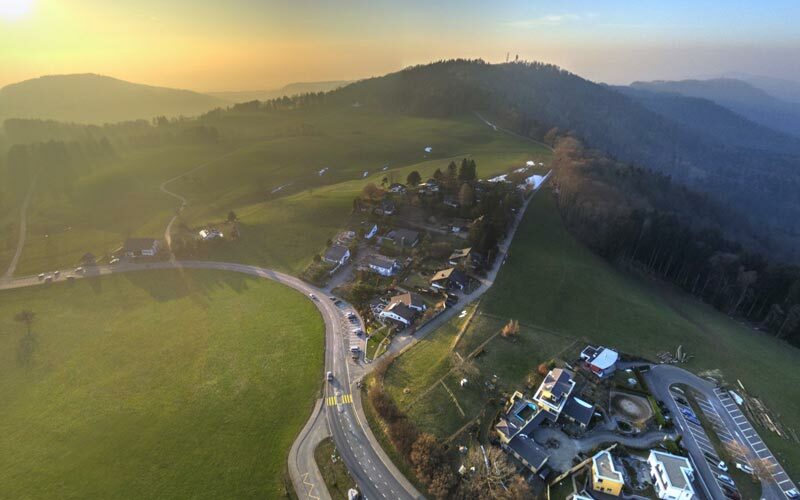 This entry was tagged: 360°Aerial Panorama, aerial photography, Albis, Albis Pass, DJI Phantom 3 professional.